Were you hurt in an accident through no fault of your own? Did someone else’s reckless or negligent actions severely or fatally injure someone close to you? If so, turn to a legal team that has the experience, skill, and resources necessary to get justice for you and your loved ones. For more than three decades, the experienced trial lawyers of CHASENBOSCOLO have helped defend the rights of injured people across the state of Virginia. We are committed to providing compassionate and committed representation for our clients, and we get results. CHASENBOSCOLO handles cases all over Virginia, from major cities like Virginia Beach, Norfolk, Chesapeake, Richmond, and Newport News to smaller communities such as Norton, Emporia, Covington, Buena Vista, and Galax. Our firm serves every county in the state from Fairfax County to Prince William County to Loudoun County and everywhere in between. No case is too big or too small for our firm, and no location is too far for us to reach. We are committed to helping all accident victims in Virginia, whether they are residents or visitors. Did you suffer severe injuries or was your loved one killed by another party’s negligence in Virginia? You don’t have to fight for compensation on your own. Turn to a legal team that so many others have trusted when it matters most. Turn to CHASENBOSCOLO for help. Our aggressive team of Virginia personal injury attorneys will fight to make sure that you get every last dollar of compensation you are entitled to. Call (703) 538-1138 or contact us online to set up a free consultation. After an accident, many people will be contacted very quickly by insurance companies for the negligent parties. You should never provide a recorded statement or say anything to these agents until you have legal representation. An insurance company has a goal of resolving your case for as little money as possible, even though a representative for the insurer may claim that the company is committed to helping you. Agents can lull victims into a false sense of security, so they see no harm in speaking about their accident with the insurance company, but the questions asked are usually designed to get people to unknowingly make very damaging admissions about their own degree of negligence in these cases. Some insurers may offer you a lump sum settlement and then aggressively try to get you to accept it. Representatives will commonly tell people something along the lines of there being “more money to keep for yourself,” and this logic is often fed to people before they have even had the opportunity to contact a lawyer. Whatever settlement you may have been offered, you should refuse it because chances are very good that the amount is nowhere near what you are actually entitled to. CHASENBOSCOLO can determine the true value of your case and then diligently work to recover as close to that amount as possible. CHASENBOSCOLO has recovered hundreds of millions of dollars for thousands of clients since our founding in 1986. 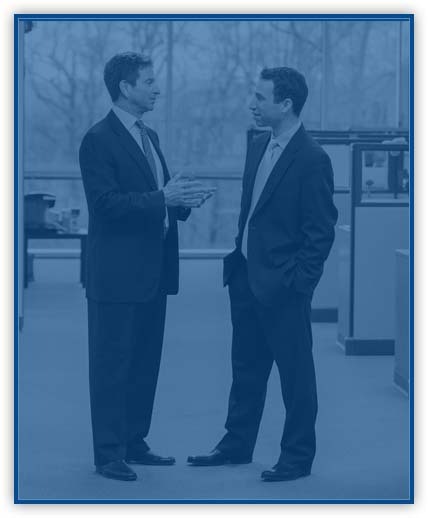 We have grown to become a team of 25 attorneys and more than 90 professionals with over 100 years of legal experience. Barry M. Chasen has over 30 years of legal experience and has received an AV Preeminent rating from Martindale-Hubbell, a peer rating denoting the highest level of professional excellence. He was also named to the National Trial Lawyers Top 100 Trial Lawyers in 2013. Benjamin T. Boscolo has also received an AV Preeminent rating from Martindale-Hubbell. He is a member of the American Association for Justice and was a workers’ compensation panelist for the National Football League Players Association (NFLPA). CHASENBOSCOLO understands the financial strain that many people face after accidents, which is why we provide the No Fee Guarantee®, so you do not have to worry about paying anything unless you receive a monetary award. You can count on our firm to work towards a fair and full settlement to your case, but you should know that we will never be afraid to file a lawsuit if an insurance company does not make an acceptable offer. CHASENBOSCOLO handles a wide variety of personal injury cases for clients all over Virginia. Our team of experienced attorneys works together to help people reach the most favorable possible outcomes to their cases. You should not wait after an accident until things become difficult before you contact an attorney. You want to reach out for legal representation as soon as possible. Your lawyer will immediately conduct an independent investigation of your accident to determine the cause, collect evidence, and identify all liable parties. You can count on CHASENBOSCOLO to fight for maximum compensation because we represent clients on a contingency fee basis, which means our fees are based strictly on what you recover. Whatever kind of accident you are involved in, your first step should always be to make sure that you receive medical care. You should go to a hospital even if you do not think that you were hurt, as you may have suffered an injury involving delayed symptoms. If you wait until symptoms worsen to seek medical attention, you may not receive the best possible care and an insurance company will be very likely to questions the severity of your injuries because of the delay in treatment. Another important step to take after any accident is to preserve whatever evidence you can. In most cases, this will involve two key steps: taking multiple pictures of your accident scene and also getting the names and phone numbers of any people who saw your accident. When you are taking photographs, try to get as many as you can from multiple angles and distances. Lastly, make sure that you do not speak to any insurance company or anybody else about your accident until you have legal counsel. Be especially cautious about what you share on social media. How long do I have to file a lawsuit for an accident? Under Virginia Code § 8.01-243.A, a person generally has two years from the date of their accident to bring an action for injuries. The statute of limitations is also two years for a wrongful death claim, but the limitations period begins on the date of a person’s death instead of the date of the accident. Two exceptions to the statute of limitations include individuals who are minors or mentally or physically incapacitated. When a victim is a minor, the two-year limitation period will begin on their 18th birthday. Contributory negligence is a common law defense that is only recognized by five states in the nation. Virginia is one of those states. Under contributory negligence, a person whose injuries were caused in any way by their own negligence (even just 1 percent to the other party’s 99 percent of fault) is prohibited from recovering any damages whatsoever. Contributory negligence is far different from the comparative negligence model used by most states, in which the fault of both parties in considered and can impact jury awards. Contributory negligence is also the first thing that most insurance companies will look for in any injury case, as a finding of contributory negligence will help a person avoid liability. The 2017 Virginia Traffic Crash Facts from the Virginia Department of Motor Vehicles (DMV) reported that there were 13 bicycle fatalities in 2017 in 14 fatal crashes as well as 619 injury crashes, and 37 property damage crashes. The DMV also reported there were 539 bus crashes in 2017, with two accidents classified as fatal crashes, 215 bus accidents classified as injury crashes, and 322 accidents classified as property damage crashes. According to the DMV, there were 127,375 total crashes in Virginia in 2017 that caused 843 fatalities and 65,306 injuries. The total included 787 fatal crashes, 42,425 injury crashes, and 84,163 PDO crashes. The DMV reported that 114 pedestrians killed were killed in crashes in 2017, 1,571 pedestrians were injured, and 447 pedestrians were seriously injured. The 2,119 motorcycle crashes resulted in 107 motorcycle riders killed, 1,794 motorcycle riders injured, and 770 motorcycle riders seriously injured. According to the Bureau of Labor Statistics (BLS), the private construction sector in Virginia had 24 workplace fatalities in 2016 and 4,700 total recordable cases of nonfatal occupational injuries or illnesses associated with construction in 2017. The Occupational Safety and Health Administration (OSHA) stated that 21.1 percent of worker fatalities in private industry in the calendar year 2016 were in construction. If you sustained catastrophic injuries or your loved one was killed in Virginia, it is important that you take action as soon as possible. You usually have a limited amount of time to hold negligent parties accountable for their actions, and every second counts after any accident. CHASENBOSCOLO has been helping people all over Virginia get justice for more than three decades. Our lawyers can help you understand all of your legal options as soon as you call (703) 538-1138 or contact us online to schedule a free consultation.